Coming across old acquaintances is a wonderful feeling, more so, if these old acquaintances turn out to be one of your past teachers, it is a bonus. 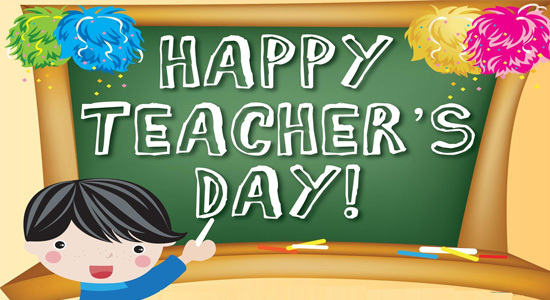 On Teacher’s Day I remember few teachers at primary school levels like Master Dulha Saheb and Durrenajaf Saheb, at college level, Naqiuddin Saheb, Surendra Kumar Saharma Saheb, Master Anwar Saheb, Hasan Abbas Saheb, Hasan Wafa Saheb, Raghunath Singh Saheb, Ravindranath Kapoor Saheb and at AMU Aligarh, Dr Fazal Mohammed Saheb, Dr Abulhasan Siddiqui Saheb, Dr Irfan Saheb and Sir Brian Mige and Sir Edwin Mendoza at Oxford Street’s HTT College, London who have left their indelible marks on my life. I’m sorry to miss more names that should have been included in this list. Today I spent a lot of time remembering and praying for the teachers who taught me. All of them would have taught so many thousands like me and maybe many of us students might have become very successful in various fields. We could be well placed, well respected, famous, rich or whatever and a large part of the credit would definitely go to these silent workers in our life. We can never ever forget their role in our lives. My teachers loved, cared and tried to understand the embodiment of weakness that was I. They forgave me for my foibles and in the end when many of them are no more I can’t fully explain how I feel their ever presence in my life. The teachers are only supposed to teach but they invariably ended up doing much more than were expected of them. All of us have so many fond memories of our teachers who did in some way or the other contribute to us becoming what we are today. They molded us into individuals to face the world and situations. I came across a quote somewhere which went something like, “Every situation we face is a learning experience and every person we come across is our teacher. “ In every walk of our life we have come across people who have taught us something. Some by giving up a pep and support when it was needed and some who let me down in the worst crucial moments of my life. I thank God for you my teacher , the wind beneath my wings. I wanted to play hit-woodblock game on the street with the neighbor’s oafs. I wanted to climb the roofs to fly the kite; I wanted to go into the remotely located field to play rubber-ball-hit with all kind of boys and I wanted to just stroll by the railways line and enjoy the magnificent silence and the loneliness that the scenery offered. I wanted to go free on my volition. My mother won’t let me go. As a growing up kid I wanted to be an old man so that nobody should stop me going to where I wanted. Later on, one of the poem I read about the ‘liberated soul.’ I thought it was about me. And now I’ve grown up an old man. My mother is no more and so my father. Now nobody stops me where I go. Nobody seems to be interested where I go. Because I’ve grown up now. I can still bring back the memory of small preparation that my mother did on my 13th Birthday. She cooked the rice in milk and sugar and put some nuts, covered the junket with wafer thin real silver- foil (chandi waraq). I don’t remember any birthday celebration after that. There might have been very many reasons to let go that day. Surely, poverty was one of them. I became rich in time, got plenty of worldly pleasures and possessions. And when I stood on my 64th Birthday before the mirror, I didn’t recognize myself. I recalled my parents and felt a vacuum in life that was not physical but spiritual. It is pity that we often don’t savor those great moments when we travel through them; we don’t understand the feelings of those who loved us once and parted from us. As we travel along the tedious bumpy roads of lie, we celebrate birthdays as routine and ritual without taking stock of what has passed by. Everyone knows what birthdays are supposed to look like? When we were young, we looked for a romantic dinner with a bunch of good friends and relations on that day. And as the years rolled by, we wanted a secure and happy evening of that day with a lot of extended families. We enter the silver zone and day of birthday winds up as usual. And when you are alone in your bed and your spouse escaped into the zone of comfortable sleep, a big nasty bells rings in mind; a call that everything to do with birthdays ends up being exactly the opposite of what we think they should be: Our unsuccessful aspirations, expectations and sense of guilt. We failed in our expectations and that leads to feelings of disappointment, depression, and sadness. Where we’re actually at in life may not be exactly where we expected to be at during this age. 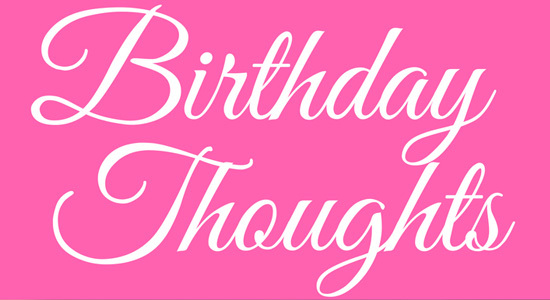 All too often, birthdays become a nightmare, a reminder of all the things we haven’t accomplished, of all the ways we are behind our peers, or all the things we are lacking. I’ve been deluding myself into thinking that for the past decade that I’m still 21. I feel young in my mind. So when those birthdays roll around reminding me that I am a 64-something now, I feel the loss of all that time with little to show for it. Where did all those decade go? As a growing up kid once I wanted to be an old man so that nobody should stop me going to where I wanted to go. My mother won’t let me go. Now I’m entering the twilight zone of my life. As I am grown up I want someone to tell me – Don’t go there! There are times when aesthetics and humanism take the upper hand over all the material gains, power and pelf in life. Few moments of awakening, recollection, remorse and helplessness inform about the futility of worldly pleasures; we feel sorry for a wrong which was done by us and others; we comprehend that hellish situations could have been easily corrected provided the bloated egos were softened for the sake of next generations, for the sake of history; when we feel there is still some scope for reparation, redress and redeeming. And I felt that last night when I attended an event conducted by Sufi Singer Sonam Kalra at ‘India Habitat Centre,’ Lodhi Road, New Delhi. According to Sonam Kalra, when India was partitioned, my great grandfather’s family took a lot of people to protect them because they had a large estate. But one day he called his two youngest daughters and said, ‘I’ve a favour to ask you. If the mob comes, if the mob overpowers us, I will shoot you. But promise me that you won’t cry when I do, for it will break my heart.’ Kalra’s family has its root in Punjab that is now a part of Pakistan. On August 19, 2016, she revisited the event that changed the life of 14 million people that time. And she was inspired for this show when during a cricket match, she saw a man at Indian-Pakistani border carrying a child on his shoulders. The child held a banner on which it was scribbled – “Laali ankhiyan di dasdi hai, roya assi vi.” It could be transliterated into – “The redness of your eyes shows both have cried.” Inspired with these two lines of Ustad Daman, the Sufi-Singer-Icon worked for months to create a scintillating thoughtful evening that includes music, installation art, real life narrative of people who were displaced by partition. The reading of narration effectively is itself a great art and it was performed in superb way by actor Salima Raza. The greater stories she narrated were very much conforming the style of Raza Mohiuddin. She declaimed Urdu poems, short comments and accounts of sufferers. Inside, it was so touching and fascinating to hear the suppressed sobs and often cries that were echoed in the darkness of IHC auditorium from the crowd that was a cocktail of all Indians. At the end, the people were out from the hall with pain and sorrow suffused on their faces. They were spilling on the ‘India Habitat’ lawns wiping their tears. But the moot point is – How do we conceive our future – the materialistic future or the spiritual one? You are obsessed by greed for more and more. Nay, in time you will come to understand! And once again: Nay, in time you will come to understand! you would indeed, most surely, behold the blazing fire (of hell)! and on that Day you will most surely be called to account for (what you did with) the boon of life! And for an unripe mind, it leads to a thought of giving up all the attractions, magical spells and allurement of this world. And the next streak leads to ASCETISM – the renouncing of this world. Does the religion of Islam demand that situation? Indubitably, we as Muslims have a clear purpose in our lives and that is to earn the pleasure of our Creator. The positive feelings such as inner peace, joy, gratitude and hope all devolve around that very concept. This Surah is one of the most powerful and prophetic passages of the Qur’an. It illuminates man’s unbounded greed and tendencies which have come to dominate our societies. We jump with indiscrete to increase in benefits, be they tangible or intangible, real or illusory. It denotes man’s obsessive striving for more and more comforts, more material goods, greater power over his fellow-men or over nature, and unceasing technological progress. However, it is imperative here to understand the concept of worship. As we understand, the worship of God is not only ritualistic akin to some choreographed acts of gymnastic. Worship of Almighty includes seeking knowledge, fulfilling the family, social, political and state responsibilities, helping others and performing the regular prayer rituals. And to conform to all those duties, tasks and avocations one has to wade through the rough and tough of hard practical life with all its pathos and privations. Allah wants us to perform good deeds and be honest. Corruption and Islam can never go parallel. We have to strive to do hundred percent justice to all the activities which are entrusted to us. And to perform good deeds we have to be both materialistic and spiritual. Islam proscribes and prohibits ‘asceticism.’ While the religion wants us to live within our means and be content with the modicum of comforts, it exhorts to improve our economic and social conditions by all fair means. The conventional wisdom suggests that a materialist wants to change the present for a better future. He deals with the unpleasantness of life with intelligent and self-willed efforts and works hard to attain a standard happy life and prosperous life by creating conditions within himself and his environment. He goes by his past experiences and relies upon his strengths and abilities to safeguard his / her interests. While doing all that he prays the Supreme Authority for a positive response. The problem with the so called-religious-spiritual zealot is that he thinks more about the rituals and prayers and feels that spending most of the time in these activities would entitle him for Allah happiness. He inadvertently ignores his family, social, economic and educational tasks and indulges in the practices that relate to outward show of sainthood and religious paraphernalia. Those errands and engagements hardly make any difference in his attitudes and dealings. On the contrary, this kind of excessive devotion leads to PRIDE in one’s own piousness and importance which is not what the Islam expects. From an ordinary Muslim, Islam expects the golden mean where there is fine balance in his spiritual activities and his professional responsibilities. The true worship is if we are honest in all the dealings of life; if we lead a simple life without conceit and arrogance; if we take care of our social responsibilities as a good citizen; if we’re to ready to allow our resources to be availed by our needy neighbours; if we give real respect to our elders and lead a life without hate and work hard for a better tomorrow for us and for those who connect us. Most of us busy with the prayer string beads without knowing the Real Truth. Are We but conscious and aware that all the activities of our (honest and diligently lived) LIFE itself are PRAYER….Nay, but we are not sentient! A few weeks later the Mourning Period of Moharrum is approaching when we would recall and remember the Martyrdom of Karbala. I believe the best tribute of Imam Hussain (AS) and his mission would be to fulfill all the responsibilities of life, especially for the youth, to spend time in their studies along with the traditional rituals and prayers in just proportion. The Holy Imam would also never approve our display of wealth, pomp and power in his name. He would love to see his followers taking lead in the world in all positive fields. He would love to see the youth engaged in activities that would enhance their character. Wasting time is never part of worship or mourning of martyrs of Karbala! Opportunity knocks the door but once.’ This adage holds very true in the recent development when the Supreme Court has, on Tuesday, asked Congress vice-president Rahul Gandhi to express regret for his comments holding the Rashtriya Swayamsevak Sangh (RSS) responsible for Mahatma Gandhi’s assassination or be ready to face a defamation trial. It is golden opportunity for Congress Party to defend its plank in the Court of Law and before the nation. No one knows what would come out final verdict from the court. However, if the Congress Party fails this time to put its solid understanding of historical events, the coming generations would curse it for weakness, cowardice and fear. There had been three more occasions where it had failed, not only failed to law and order in wider context but ideologically also. The Shah Banu Case was a glaring mistake of myopia, fear of Muslims Clergy and minority votes. It was Rajiv Gandhi’s great error to side with clerics. The second stumble was the connivance of Narsimha Rao’s leadership when Babri Masjid was razed to ground despite the false assurance of protection of the historical mosque by the then BJP Chief Minister of UP. The century old party is still paying for that mistake. And the third was its half hearted political, social and moral response after the Gujarat Carnage of 2002. It failed the nation and failed the minorities as a guardian. It should have gone the whole hog to expose BJP. Instead of doing that it behaved meek and invited the flop RSS leaders into its fold. The nation is paying dearly for its monumental blunders and it would keep taking its toll till someone rises from the ashes and make a great correction. The father of the nation was killed under the open sky before thousands of Indians gathered to pray with him. Everyone knows who killed him and also the back ground of the nasty killer. Beyond the charade of words, history can be manipulated but facts would remain like sermons in stone. Again there is big challenge for Congress to prove that RSS was behind the killing of the father of nation. It would be the onus upon lawyers and strategists of Congress party to put up a wise and bold argument and defend it to the hilt. The ideological faith of Congress Party and history is at stake now. Justice is often meted out in strange ways. The courts draw their conclusions based upon solid evidence and presentations that are made before it. In this case it is not winning that is important but to bring out the complete historical facts before the courts and the nation. Let the nation re-learn and be re-informed about the most sordid act of its history. More skeletons should fall out from the cup boards. I fully endorse the stand taken by Congress party that Rahul Gandhi would not tender an apology over his remarks against the RSS. He will instead substantiate them with historical facts and evidence before the court to support his claim. The Supreme Court on Tuesday had observed that Rahul Gandhi, who blamed RSS for the assassination of Mahatma Gandhi, should not have resorted to “collective denunciation” of an organisation and will have to face trial in the defamation case against him if he does not express regret. “We have held it may be historically correct but the fact or the statement has to meet the test of public good. You can’t make collective denunciation,” the court said. And lo! The Second defeat of RSS / BJP in the Mighty Hills! The BJP got played out and found a double political omelette upon its face. The Supreme Court has again proved that it is the REAL Institution that can protect DMOCRACY, a Guardian of Indian Constitution against fanatic communal manipulators who had played a day-light political heist in Arunachal and earlier in Uttrakhand. The august House of Justice has delivered a major blow to the RSS / BJP government at the Centre and restored Congress government in Arunachal Pradesh after quashing the President’s Rule. A five-judge Constitution Bench, in an unanimous and unprecedented verdict, quashed all the decisions of the Governor that had led to imposition of the President’s Rule in the state, calling his actions as “illegal” and violative of the Constitutional provisions. The bench held that status quo ante as prevailing on December 15, 2015 — when Nabam Tuki headed the Congress government in the state — shall be restored. “All steps and decisions taken by Arunachal Pradesh legislative assembly pursuant to the Governor’s decisions are unsustainable and the same are therefore set aside,” held the bench. Following the decisions by Governor J P Rajkhowa, the Assembly session was preponed, a new speaker was elected and later based on his report, the President’s Rule was imposed. Even as the top court was hearing the matter, the proclamation was lifted and rebel Congress leader Kalikho Pul was sworn in as the Chief Minister of the new government. This is the first order by the Supreme Court reinstating a government in a state even after it had been replaced by a new government. The decision of the court once again ensures the country that Cowards, manipulators, and backstabbers who encourage to destabilise the democracy, still have someone to fear about. The BJP leadership claims that it was the internal matter of Congress. However, BJP had openly encouraged and supported the Congress rebellion. The opportunistic MLA’s of Congress took the risks that they could have done without – they don’t have to. The BJP acted as posture in shadows. It was an Old BJP trick, a strategy that let others get dirty. We step into the light when it’s safe. Players and manipulators always drive toward self-interest, secretly. Even when making others look bad. The BJP’s Ruse: Let at the moment, the weaker Congress, make a further divide in its ranks and their elected ones do the dirty work? The Supreme Court got the smell of the stench of manipulation and created a high standard of safety for times to come. Let the RSS beware ! The Democracy is still alert and throbbing ! It is in the domain of the religious scholars to decide what procedure and process is to be adopted to make sure that moon indicating the arrival of Eid-ul-Fitr is sighted or not. I’m an ordinary Muslim and I find myself at my wit’s end when once in few years we encounter the same controversy, same confusion and same inconsistency of the decision maker. We find our Ulemas measuring swords against each other about a simple physical appearance. We fast and pray the whole month and I’m sure none of us wants to shorten the period of 30 days fast to 29 dys. We have had enough of food festivals in the holy month. Our refrigerators were filled with Seher and Iftar essentials. We have had ensured the finest of Eid dresses that were ready on time, and we had occasionally thought of our poor relatives also arranging Iftars in mosques, social and political gatherings so that people must realize and accept our status in society. Allah has showered His bounties upon us and we are thankful to Allah Almighty for that. We think of poor sometimes in this month. But one suspense that fails the imaginations of Ibne Safi, James Hadley Chase and Agatha Christi hangs like Domocle’s sword – Tomorrow there would be Eid or not? For many of us the celebration of Eid al-Fitr should be tied to the sighting of the moon in each country and should not be linked with the celebration of Eid al-Fitr in Saudi Arabia. It is Moon Sightingone issue where there is emphasis upon the disunity as the time difference is vital. But there should be unity in every country until and unless is too large like a continent. Between the cities and town situated in the neighboring provinces there should be no differences. What does the Muslim unity mean? It means that all Muslims should treat each other with brotherly sympathy and affection and should not spread disorder and dissention among them. Nor should they invent new ideas foreign to the teachings of Quran and the Sunnah which may lead to division and conflict among Muslims. We have evolved the idea of Central Ruet-i-Hilal Committee (the official body for moon sighting and the authority which declares the official start of Islamic months) or some Moulana from Lucknow with their bloated egos but we always juggle with their ability or inability to see the moon. We blame the poor weather, the absence of evidence and some strange undecipherable politics of Moulanas and Ruet-i-Hilal Committee. It is pathetic that in modern times when the other races are conquering the journey of Moon we’re fighting about the sight of moon. We, the Muslims, in all of our communities and sects are blessed with Scientific Scholars who can help us to reach upon a reasonable conclusion about the sighting of moon. Isn’t possible for our Ulemas to sit together with the scientific gentry and understand this moon business?? There are plenty of modern scientific tools that can help us resolve this issue. If we shed our ego and meet with open mind and honest approach then it is not an issue at all. Science has no prejudice. It is based on proven facts. A section of Islamic scholars believe that seeing the moon with the naked eye should be the criterion for declaring the start of a new month. A smaller section advocates that we can rely solely on the calculations, and there is no need to visually see the moon. The official and unofficial moon sighting committees ask people to testify if they have seen the moon. Today, astronomy can accurately establish the time of birth of the new moon with the accuracy of seconds, and its likelihood of being visible. So, what is the harm in using this astronomical basis to reject a claimed sighting which could not possibly be correct? Can’t we sit together – our Shia and Sunni Ulema with the Muslim’s Scientific Community before the final declaration of moon sight in evey specific region at least, and save ourselves from becoming the but of jokes before other advance people? There is no doubt that the aerated drinks like Coke from America and the Perrier the natural bottled mineral water from France evoke awe and excitement. Coke is attributed as a drink of youth and instant energy and Perrier is a known health improving mineral supplement gift of nature. Coca-Cola which is often referred to simply as Coke, is a Carbonated soft drink and is produced by ‘The Coca-Cola Company of Atlanta, Georgia, USA. It was invented in 1886 by a pharmacist named John Pemberton, otherwise known as “Doc.” He had fought in the US Civil War, and at the end of the war he decided he wanted to invent something that would bring him commercial success. John Pemberton is an example of a dogged will, strong determination and someone who had never given up. Having failed in every venture in his field of pharmacy, undaunted he went on to develop a pharmaceutical drink that was originally intended as a patent medicine. The name Coke refers to two of its original ingredients: Kola Nuts which is a source of Caffeine and Coca Leaves. Perrier mineral water is part natural water captured at the source in Vergeze, located in the Gard department, France. A French doctor Louis Perrier bought the spring in 1898 and operated a commercial spa there; he also bottled the water for sale. He later sold the spring to St.John Harmsworth, a wealthy British visitor. It is not that the whole commercial of Perrier supply comes directly from the natural spring. The spring from which Perrier water is sourced is naturally Carbonated. It is interesting to learn that mass of both the water and natural CO2 gas are captured independently. The water is then purified, and, during bottling, the carbon dioxide gas is re-added so that the level of carbonation in bottled Perrier matches that of the original Vergèze spring. Perrier comes in several flavors: Natural, Lemon, and Lime have been in market for many years. In 1992, Perrier was bought Nestlé, one of the world’s leading food and drink companies. It is at present owned by the Nestle Corporation. But none of these drink command that love, respect and loyalty that the ‘Rooh Afza enjoys from its consumers. On a hot day nothing quenches the thirst like Rooh Afza. From the time of ‘One India’, before the advent of Pakistan and Bangla Desh, the pleasant rose-pink tint and its delicate flavor has been savored by most of the denizens irrespective of faith and geography. Rooh Afza still unites the three divided nations. In almost third home of the county you can find the half empty bottles that had never changed its looks. The ‘Hamdard’ manufactures Rooh Afza. Rooh Afza is a sharbat, a slightly too-sweet concentrate that consists of the ingredients like the essences of coriander, orange, pineapple, carrot, rose petals, spinach and mint. It is sold in a bottle with a distinctive yellow cap, Rooh Afza is often mixed with cold water or milk, poured over ice cream. In Bombay, Delhi and Hyderabad and other towns across northern India, sharbat sellers make a special place in their stand with containers of ice and water, armed with bottles of Rooh Afza. The Company ‘Hamdard Waqf’ dates back to 1906, when Hakim Abdul Majeed, founded his clinic in New Delhi. Rooh Afza, among Hamdard’s first products, was introduced in 1907. Hamdard is credited with high quality Tibbi Unani Medicines at reasonable price. The name “Rooh Afza” has popularly been translated as “refresher of the soul,” but Hamdard’s own website – currently under renovation – admitted that the brand’s precise origin is unclear. “Some think that this name is a product of [Hakim Majeed’s] mind,” an explanation read. 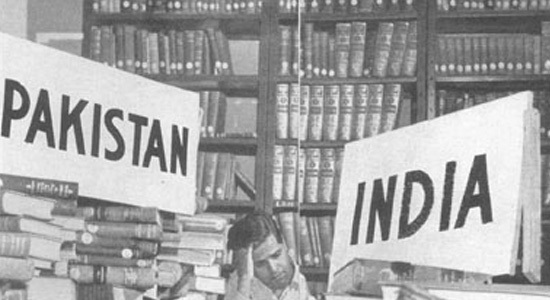 When India and Pakistan separated in 1947, the company split as well, and an independent Hamdard was founded in Karachi, Pakistan. Hamdard Pakistan today exports Rooh Afza to, among other countries, the UAE.Similarly, when East Pakistan broke away in 1971, the branch of Hamdard that had been set up in Dhaka in 1953 turned into Hamdard Laboratories, Bangladesh.